As part of the observance of Chicagoland Engineers Week, February 21-27, 2016, professional engineers, engineering societies, major corporations, CEO’s, and civic leaders will attend the Washington Award Benefit on Friday evening, February 26th at the Chicago Hilton and Towers, 720 S. Michigan, Chicago. The Washington Award reminds us that our first president was an engineer, and recognizes an engineer whose accomplishments have “pre-eminently promoted the happiness, comfort and well-being of humanity.” Dr. Aprille Ericsson, Aerospace Engineer. NASA Gouda Space Flight Center will be this year’s 103rd recipient of the Washington Award. She was the first female, and the first African-American female, to receive a Ph.D. in mechanical engineering from Howard University and the first African-American female to receive a Ph.D. in engineering at the NASA Goddard Space Flight Center. In addition, nearly 100 students (3rd grade through high school) will be honored to recognize their accomplishments in a variety of science, technology, engineering and mathematics (S.T.E.M.) program competitions (Future City Competition, Bridge Building Contest, FIRST Robotics Competition, Essay/Poster Contest, Illinois Science Fair and Destination ImagiNation, Inc.). For further information visit www.thewashingtonaward.org or contact Laura Burke, Western Society of Engineers Chicagoland Engineers Week 2016 Committee at wse@cbbel.com. Thank you to Robert Johnson, SE, who sent GGSTEM this terrific information about Dr. Ericsson and many positive upcoming and past STEM outreach activities in Chicago (especially engineering-related programs). 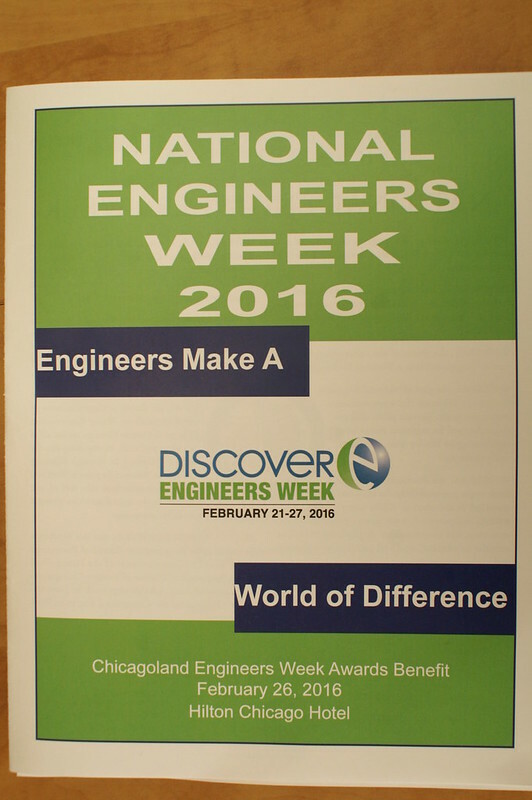 2016 Chicagoland eWEEK (Engineers Week): There will be numerous events to celebrate the engineering profession, exceptional S.T.E.M. students and the ‘educate’ students of all ages and the public as to the accomplishments of engineers. IIT –Rice Campus Dupage Area eWEEK Expo (Huge) Depending on weather and parallel program(s) this Expo can draw 1000-2000 visitors!!!!! !Saturday, February 27, 2016. More info here. Poster. Program February 27, 2016 @ IIT National Society of Black Engineers NSBE (Chicago) eWEEK program. Tickets for the EXPO. Sunday, February 27, 28, 2016 (Waiting for exact details) CAFamily “Engineering” Day http://www.architecture.org/efesthttp://abclocal.go.com/wls/story?id=9434028 Chicago engineers explain to children, students of all ages ++ parents how engineers shaped Chicago’s famed skyline. Coming in August: The ICEBOX Derby (2016). Pictures from August 15, 2015. Take note of the African-Americans girls in the pictures ! You may even recognize Amandla Stenberg (Hunger Games) in a few of the pictures! ENGINEERS Putting the “E” in STEM! This entry was posted in Engineering and tagged Engineering. Bookmark the permalink. I wish to share with you this news as you won’t read/hear – see anything about this event in the local (Chicago) media Why is that????? I just found this posting ( recently posted ) ! You might want to share this link(s) (URL) with any S.T.E.M. contacts. Let’s spread the word of this Inspirational Talk!! one that was largely ignored by the Chicago press, others . Dozens of exceptional S.T.E.M. students honored at the banquet!!!! Maybe you can join us in 2017 (Save the date , February 24, 2017) when another renowned engineer will be honored along with dozens of exceptional S.T.E.M. students. Thanks, Bob! Happy to help get the word out.